The Overall General of Port Harcourt Maximum Security Prison, Adeosun Kazeem, has converted to Christianity. Kazeem renounced his Muslim faith after participating in the birthday celebration of General Overseer of Apostolic Army, Bishop Winning Willy Bunting. 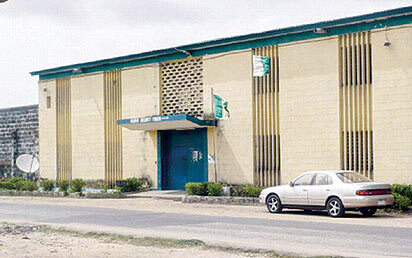 It was gathered that Kazeem landed in the prison after he was convicted of murder in 2007 while in the Nigerian Army. Giving his vote of thanks after the programme, the inmate noted that he resolved to leave Islam as a result of love shown to him by the Christians. He pointed out that he was abandoned by his family members, friends and Muslim brethren immediately he was convicted and brought to the prison yard. He said that only Christians remembered and showed him love during his tribulation and that he finally accepted Christ when he saw the humility exhibited by the bishop. Confirming the development in his birthday massage to the inmates, the Grand Commander of the Apostolic Army, Bishop Bunting, said he was happy with the decision of the inmate to convert to Christianity. Bunting said: “My birthday had always been celebrated in places such as Government Houses and big event centres. This year, I was instructed by God Almighty to go the prisons and celebrate by 55th birthday that there is a gift for me.